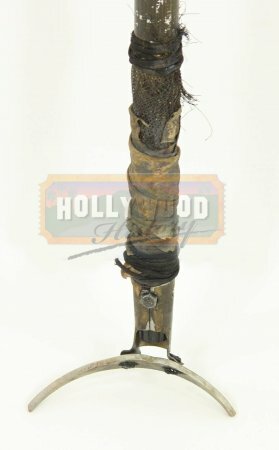 Hunter Leader Hero Costume and Staff [PHC] - $850.00 : Hollywood History Online, Discover the Magic and Bring Hollywood Home! 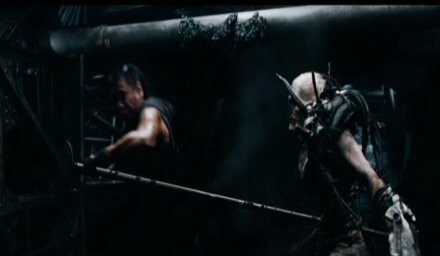 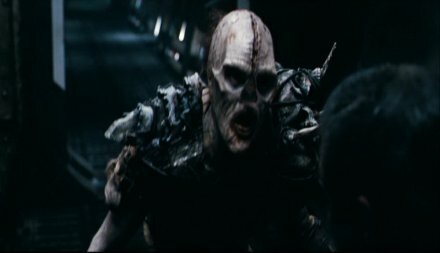 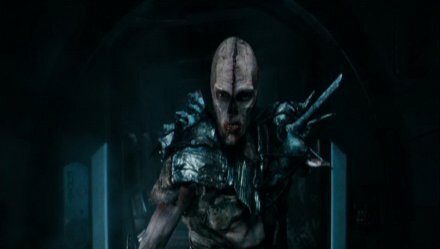 The hero costume worn by the ‘Hunter Leader’ in the 2009 sci-fi thriller Pandorum. 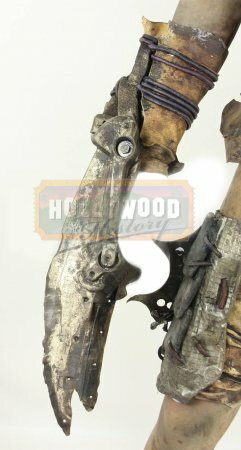 This costume can be seen worn by the leader throughout the film, he can be clearly seen when Bower (Ben Foster) has to watch Shepard being ripped apart by the other hunters, this character stares at him through the glass. 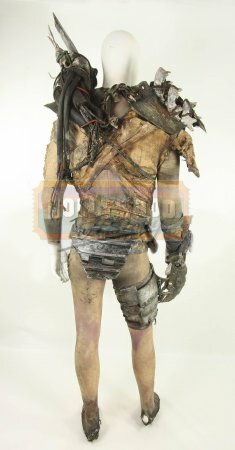 The costume consists of wraparound style top with metal effect groin protector, metal effect leg wraps, fake feet/shoes, wrist weapon on the left arm with a blade which is hinged and can be manipulated up and down by the actor and shoulder attachments that are adorned with gruesome bones and jaws. 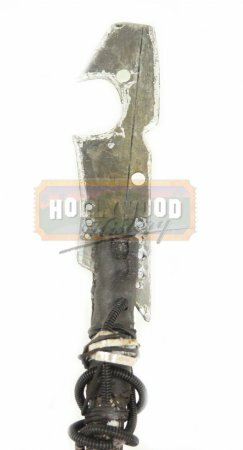 The costume is labelled 'Heflin' and also has the actor’s name ‘André Hennicke’ on many of the parts. 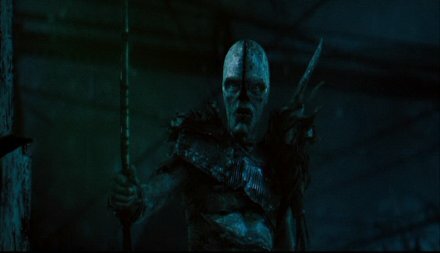 This particular costume is the hero costume for the Hunter Leader, and as a result, even though it includes a grey body-suit like those worn by the other hunters his is much more detailed, he would have also spent more time in make-up due to the required close up shots and was physically painted to look that grotesque. 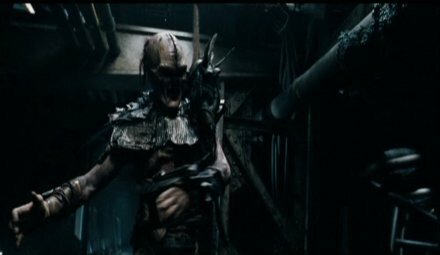 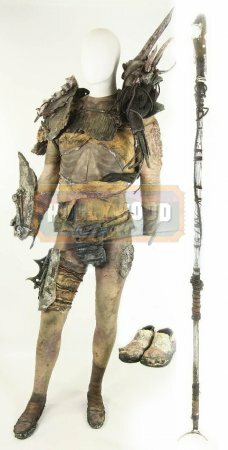 The costume also comes with a staff weapon with a spear shaped head at the top which is made from hard rubber with a metal armature. 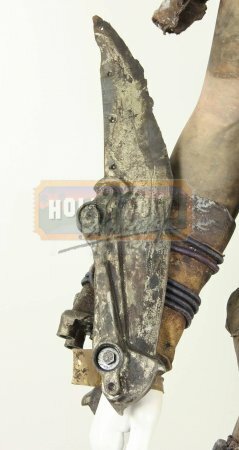 The staff measures approximately 6ft long so extra shipping charges will apply.